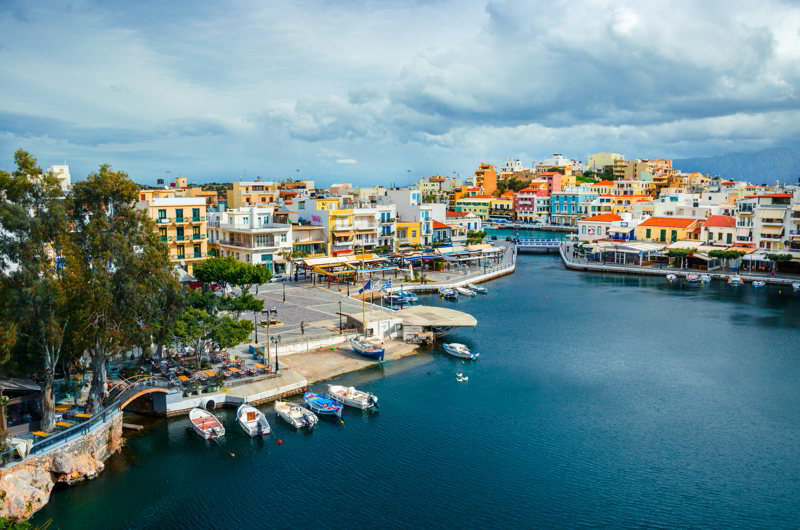 Karma Group have announced the acquisition of a new property just outside the gorgeous historical town of Agios Nikolaos, on the Greek island of Crete. Located only 5kms from the town, Karma’s captivating new address is nestled between rugged mountains and the sea. Karma Minoan will be comprised of a selection of hotel apartments and one and two bedroom suites along with pool, bar, restaurant, library, spa and kids club. Each of the property’s 26 holiday apartments offer panoramic views of Mirabello Bay, Agios Nikolaos and the surrounding mountains. Guests will be able to spend their days lounging by the large swimming pool, or strolling down to Amoudara Beach to dive into the waters of the Aegean Sea. The resort is named after the Minoan civilisation, rulers of the island three and a half thousand years ago. The Minoans left many magnificent palaces and ruins and walking the streets of Agios Nikolaos is like stepping back in time. Settled since the Bronze Age, the town has long offered safe harbour for sailors, and now the 255 berth marina is one of Crete’s most impressive and well provisioned. Visitors can relax in the cool shade of one of the many local tavernas serving authentic Cretan cuisine – the flavours of which embody a lineage as old as Arabia and the Ottoman Empire – in between exploring more contemporary cuisine at one of the many upmarket fine dining restaurants in the town. Karma Group is an award-winning international travel and lifestyle brand offering extraordinary experiences in the world’s most beautiful locations and is headed by Chairman and Founder, John Spence, Ernst & Young Entrepreneur of the Year 2010. In June 2013, John was invited to join leading entrepreneurs from around the world in Monaco to join the judging panel for the Ernst & Young World Entrepreneur of the Year. In July 2013, John was honoured by the Yale University School of Architecture by being appointed the Edward P. Bass Distinguished Visiting Architecture Fellow for the fall semester 2013/2014 and has also been awarded a Distinguished Visiting Fellowship at UCLA in 2015. The Karma Group is comprised of Karma Resorts, Karma Retreats, Karma Royal, Karma Estates, Karma Beach, Karma Spa and Karma Boutique. In August 2016, Karma group and Sanctum Hotel Group announced a joint venture to develop a series of authentic rock ‘n’ roll styled and orientated hotels in strategic locations around the world, accompanied by an exclusive private membership club.